MONDAY, July 25, 2016 (HealthDay News) -- Some people with Alzheimer's disease and related dementias may often land in the hospital simply because of poor management of other health problems they have, a new study suggests. One in 10 people with Alzheimer's disease or dementia had at least one hospital stay in 2013 that may have been preventable, the researchers reported. "We found a lot of patients who go to the hospital for things that should not have happened, and this is costing a lot of money," said study first author Pei-Jung Lin, an assistant professor of medicine at Tufts University School of Medicine in Boston. More than 369,000 potentially avoidable hospitalizations involving patients with Alzheimer's or other dementias were recorded, costing Medicare upwards of $2.5 billion in 2013, the report found. The study doesn't pinpoint exactly what went wrong for these patients. Rather, the findings suggest that care for health conditions they suffer, such as diabetes and heart disease, is slipping through the cracks. It's estimated that 75 percent of people with Alzheimer's have multiple health problems requiring ongoing treatment, the researchers said. Yet, many patients may not be capable of taking care of themselves, said Lin, who also serves as project director of the Center for the Evaluation of Value and Risk in Health at Tufts Medical Center. "Perhaps they forget to take medications, perhaps they are not able to understand what doctors said to them in terms of measuring their blood sugar, blood pressure, things like that," she explained. Nina Silverberg is director of the Alzheimer's Disease Centers program at the U.S. National Institute on Aging. She said many dementia patients continue to live alone even after being diagnosed, and they may need more help managing other conditions. Gaps in the coordination of care across the entire spectrum of health services that people with dementia receive also persist, she added. Part of the problem, Lin explained, is that guidelines for managing chronic conditions fail to consider that patients may have multiple chronic conditions plus dementia. The new study was funded by the Alzheimer's Association. Using Medicare claims data, Lin and her colleagues from Boston and New York measured rates of potentially avoidable hospital stays for conditions that can be treated outside of the hospital. They also tallied what Medicare spent on those hospitalizations. In all, they identified 2.7 million people, aged 65 and older, who were enrolled in the traditional "fee-for-service" Medicare program in 2013 and had a diagnosis of Alzheimer's disease or related dementias. Of these questionable hospitalizations, stays for chronic conditions such as respiratory or heart problems accounted for 53 percent of the cost. The remainder of cost was linked to acute conditions, like pneumonia or urinary tract infections. 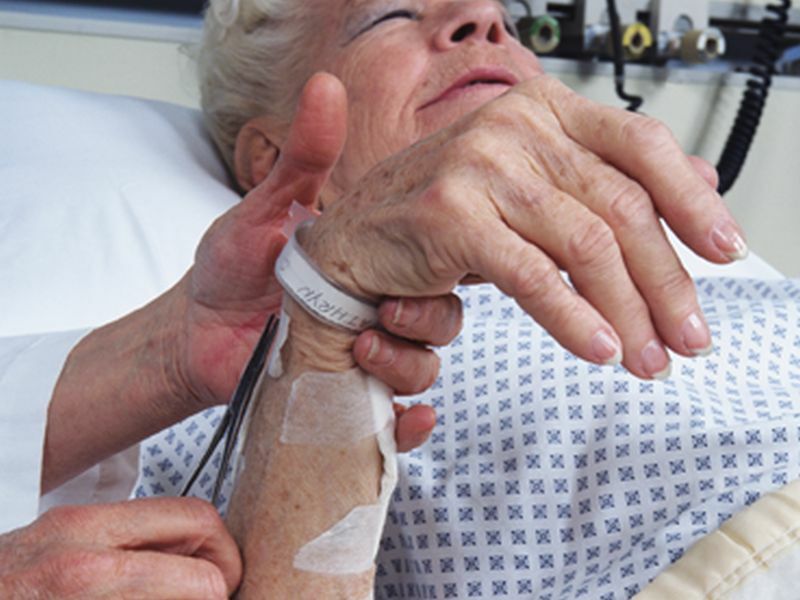 Half of patients with any potentially avoidable hospitalizations had late-stage dementia. Even after adjusting for factors such as age, race, gender and region of the country, late-stage dementia and having multiple chronic conditions were significantly associated with potentially avoidable hospital stays, the authors noted. "Not only are these hospitalizations expensive, but they can also be dangerous for Alzheimer's patients," Lin said. "If you imagine someone who has no grasp of reality, if you put them in the hospital, they can get even more confused and even more disoriented," she said. Plus, being hospitalized put patients at risk for hospital-acquired infections, Lin added. The study authors concluded that case management programs for people with Alzheimer's and dementia should involve strategies to reduce avoidable hospitalizations, improve patient outcomes and lower costs. Silverberg said there are steps dementia patients and caregivers can take to improve management of multiple health conditions. At a minimum, she said, have health providers write down the patient's medicines and frequency of use. Local Agencies on Aging or social workers can help with getting a plan for managing dementia patients' health care needs. And technology-savvy caregivers may want to look into mobile apps that help with prescription management, Silverberg added. The findings were to be presented Monday at the Alzheimer's Association International Conference, in Toronto. Research presented at medical meetings is considered preliminary until published in a peer-reviewed journal.